These days, social media is all about documentation. Where you go, what you eat and drink, who you see, and what’s most memorable: These are the typical fodder of Instagram Stories — seconds-long glimpses of people’s lives, shared on Instagram for only 24 hours. Below, we’ve created a guide for you to learn what Instagram Stories are, how to share them with your followers, and how to make sure those Stories are exactly what your audience wants to see. In this post, we’ll cover the following. Feel free to click on a bullet point below to jump to that section of the article. How do Instagram Stories work? 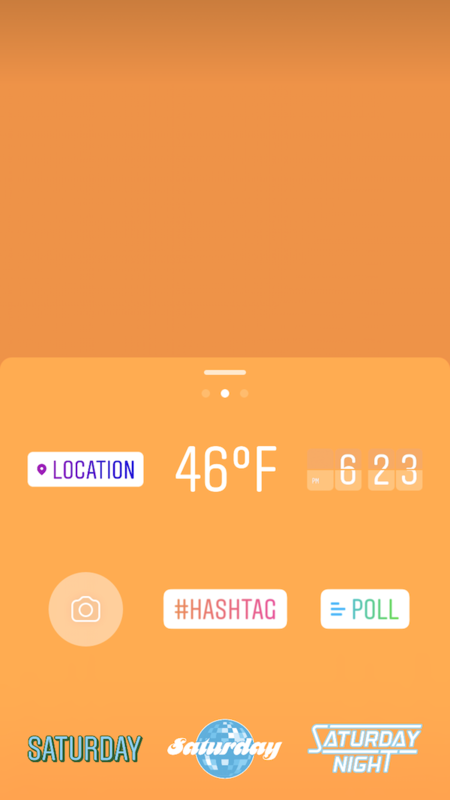 How long are Instagram Stories? 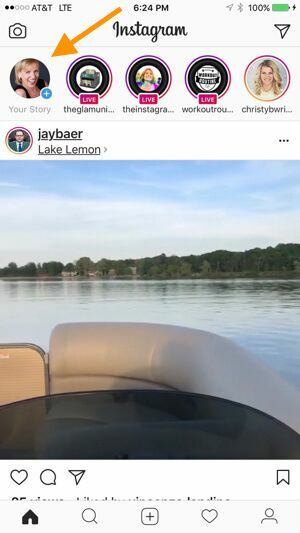 Instagram Stories allow Instagram users to share photos and videos to their “Story” — which is visible to followers of the user’s Instagram account — and to specific users the Story’s sender follows. Like in Snapchat, Instagram Stories are ephemeral, meaning they disappear after 24 hours. 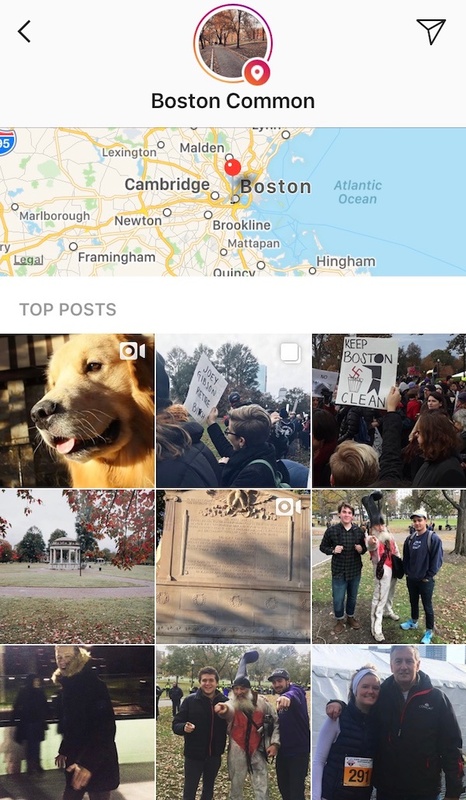 Your Instagram Story is published separately from the photos and videos found in the tiled gallery of one’s Instagram profile. And although you might know the basics of sharing them, there are hidden tools within the app that can make the photos and videos you add to your Story more creative and engaging. Instagram Stories can drive a ton of engagement and value — whether you’re sharing a Story from a brand account or your own personal profile. Since launching back in August 2016, a total of 250 million Instagram users have started sharing disappearing content on Instagram Stories — contributing to the huge jump in time spent in-app every day from 24 minutes to 32. What’s more, a lot of brands have already seen success publishing content to this platform. Instagram Stories have fueled the growth of brands like Teen Vogue, Insider, and Bustle. Whether publishers are trying to grow brand awareness, grow traffic to videos or newsletter outside of Instagram, or share sponsored content, publishers are flocking to Instagram to publish fun disappearing content that infuses brand voice and personality without taking up too much of the average techie’s dwindling attention span. What’s more, Instagram Stories are credited with fueling the massive growth of Instagram Direct — private one-to-one messaging between users within the app. Instagram Direct has grown into one of the most popular messaging apps in the world with a staggering 375 million users. Even more impressive, TechCrunch reports that one in five Instagram Stories shared by a brand receives a Direct reply — giving brands a direct line to connect with their audience and learn more about them. Instagram Stories last 24 hours on your profile before disappearing, but a video inside your Story can be up to 15 seconds long before cutting to the next piece of content. You can also use a third-party app to segment a longer video into 15-second increments to add to your Story. Just as Instagram Stories only last 24 hours before disappearing, the photos and video themselves have a time limit when users view and play them. As a blanket rule, the individual videos you add to your Instagram Story each have a maximum roll time of 15 seconds. 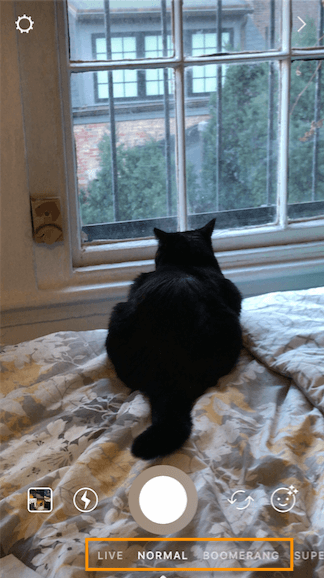 If you add a video to your Instagram Story, for example, it’ll play for up to 15 seconds, regardless of how long the original video was, and then end. Instagram Stories appear at the top of your screen when you’re on the Instagram mobile app. 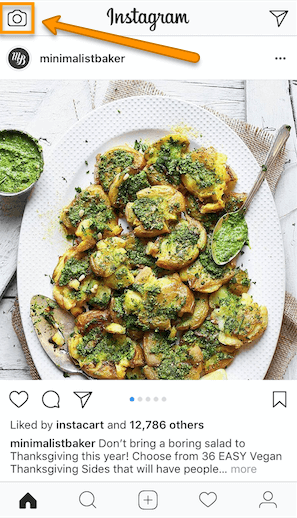 Because they’re often the first pieces of content users see when they open Instagram, these Stories can get a ton of engagement and help you advertise your regular Instagram photo gallery to more users. 1. Open Instagram and navigate to the home screen. To start viewing Instagram Stories, open your Instagram mobile app and tap the home icon on the bottom-lefthand corner of your screen. Instagram Stories are not available for viewing on the desktop site. 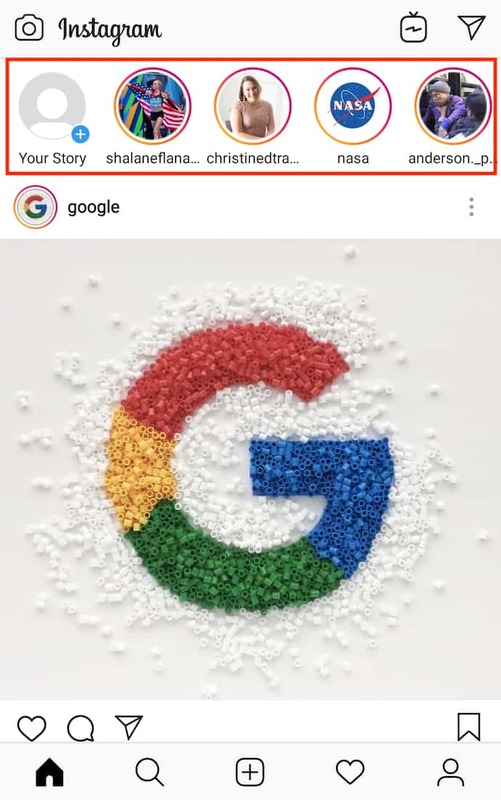 Once you’ve navigated to Instagram’s home screen, you’ll see a series of circular icons along the top, each of which represents the active Stories posted by the users you follow. These icons are highlighted inside a red square in the screenshot below. As you can see, your own Story is available for viewing (and adding to) on the far left of the Stories you follow. 2. Tap on a circular icon to view that user’s Story. Each circular icon you see at the top of your home screen shows you a small preview of the Story that user has posted. Tap on it to expand the user’s Story — it’ll either be a photo or a video, and the latter will play automatically once you tap on the Story. 3. 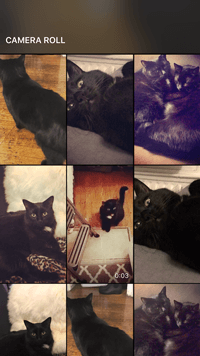 Tap to navigate between a Story’s photos and videos. A single Instagram Story can contain numerous individual photos and videos strung together in order of when the user posted them. The first piece of content you’ll see will be the most recent one. Tap your mobile device’s screen to cut to the next photo or video that user has posted to their Story. 4. 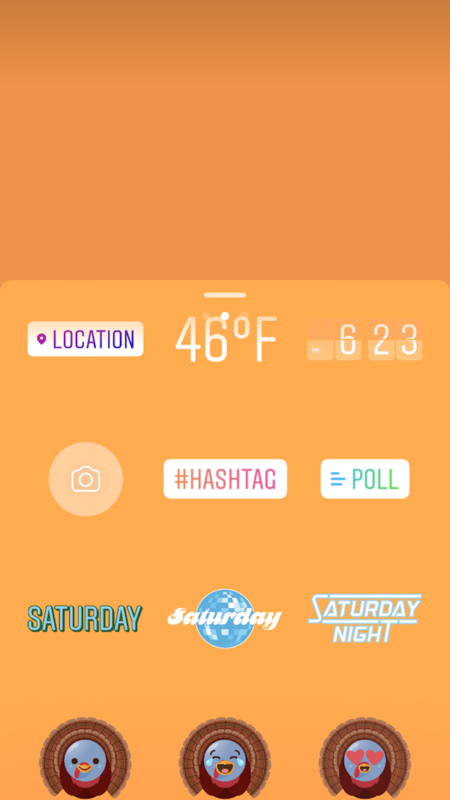 Swipe to navigate from one Instagram Story to another. Use the above screenshot as a reference for viewing the Instagram Stories of the accounts you follow. Open Instagram, and tap the camera icon in the upper left-hand corner of your phone. Share a photo or video you’ve already captured by swiping up on your screen to browse your gallery. Or, choose a camera lens to capture a photo or video in the app. 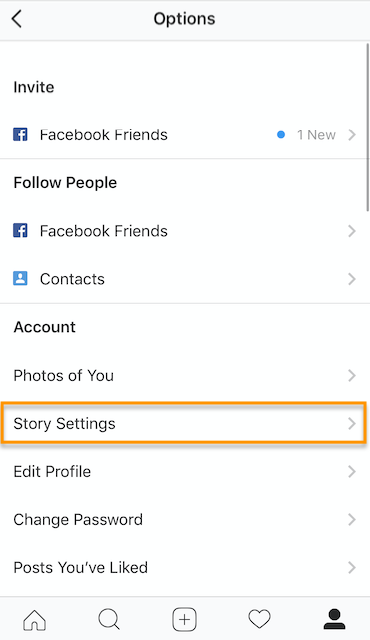 Once you’ve edited your photo or video, tap “Your Story,” or tap “Next” to share it to your Story and to other friends at the same time. 1. Open Instagram, and tap the camera icon in the upper left-hand corner of your phone. 2. Share a photo or video you’ve already captured by swiping up on your screen to browse your gallery. 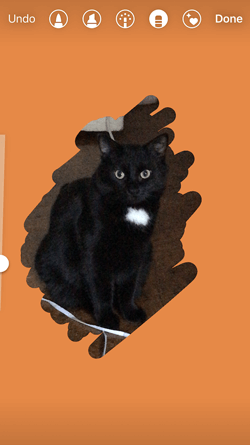 Disclosure: Yes, I did a photoshoot featuring my cats. Can you blame me though? 3. Or, choose a camera lens to capture a photo or video in the app. If you toggle your screen to the “Live” option, you’ll start filming and broadcasting live on Instagram. Like Facebook Live, friends can follow along and leave comments, and when you’re done with the broadcast, you’ll have the option to let the video disappear, save it, or share it Instagram Stories for an additional 24 hours. It means what it says: Tapping once will capture a photo, and holding down will record a video. 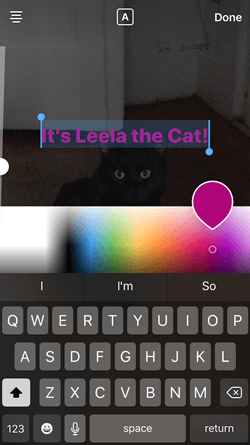 Instagram Stories can be 15 seconds in length, so if you want to share a video that’s longer, film in 15-second stints, or use CutStory to split your longer clip into 15-second installments. Boomerang mode films looping GIFs up to three seconds in length. Superzoom is, on the surface, a video recording lens that zooms in closer and closer on your subject. But turn up the volume, and you can use Superzoom to create a dramatic soundtrack to accompany your video. 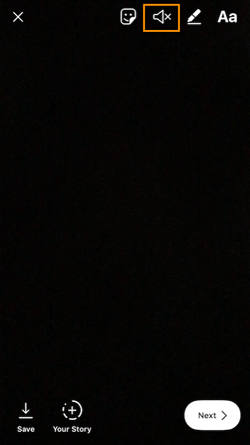 Use the rewind lens to film a video in reverse. 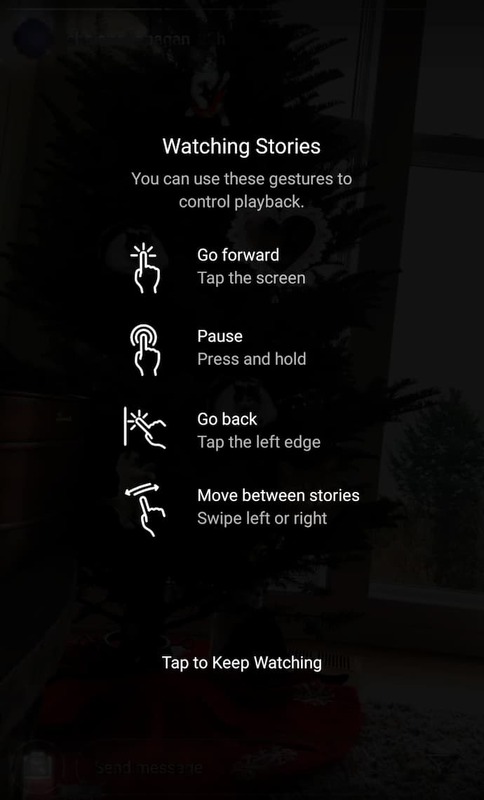 Use hands-free mode if you want to set up your camera to film a video for you. Make sure you prop it somewhere stable before you call “Action.” We’ll talk more about this feature in a minute. 4. 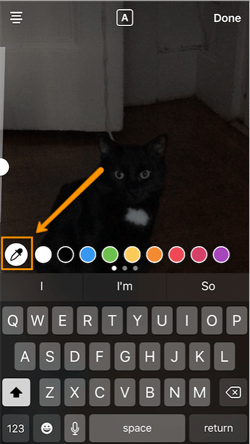 Once you’ve edited your photo or video, tap “Your Story,” or tap “Next” to share it to your Story and to other friends at the same time. You can also save your edited photo or video to your gallery by tapping “Save” in the lower left-hand corner. Post footage of an office event. Post breaking news about your industry. 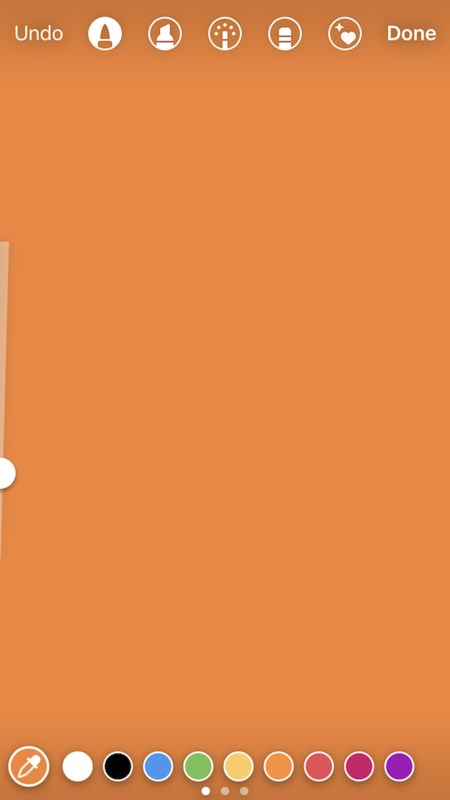 Preview one of your company’s blog posts. Mention other companies who follow or work with you. Knowing how to post to your Instagram Story is one thing, but knowing what to post is a different … well, story. For businesses looking to tell their Story on Instagram, it’s important to know who your ideal followers are and what they’d be interested in seeing on Instagram. Remember, Instagram is a visual platform, but that doesn’t mean you can’t teach or promote something in the process. Here are a few ideas for using Instagram Stories to attract followers and build a customer base. 1. Post footage of an office event. Sometimes, the best thing a business can do on Instagram is be as human as possible. One way to do this is to post a brief video of a company function. Whether it’s an office holiday party or an award banquet, posting footage of it to your Story is easy and in-the-moment entertainment for your followers. This content also shows people you’re a relevant and friendly voice in your market. 2. Post breaking news about your industry. Just as you might on your company blog, you can use your Instagram Story to report on the latest happenings in your industry. With the right design work, you can turn small news breaks — that don’t merit an entire article — into a Story on your Instagram account. This keeps users coming back to you to stay abreast with market trends. 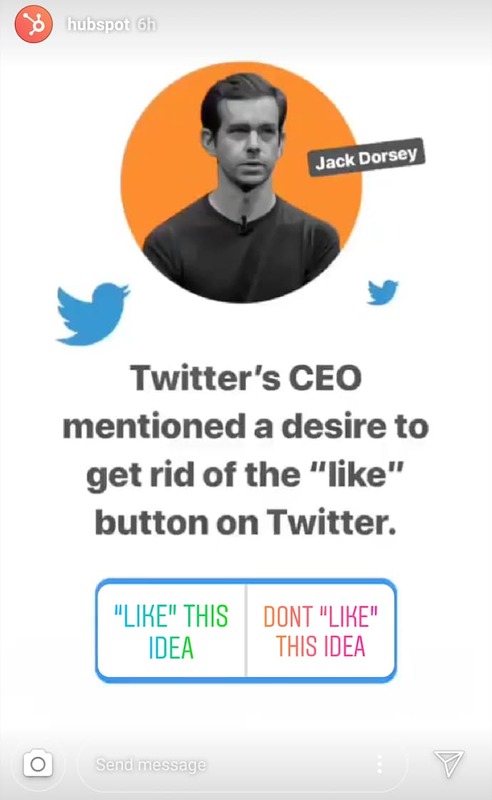 You can even ask users what they think, as shown in the Instagram Story by HubSpot below. 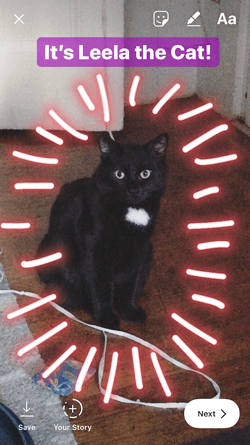 We’ll explain how Instagram “stickers” can help you do this in just a minute. 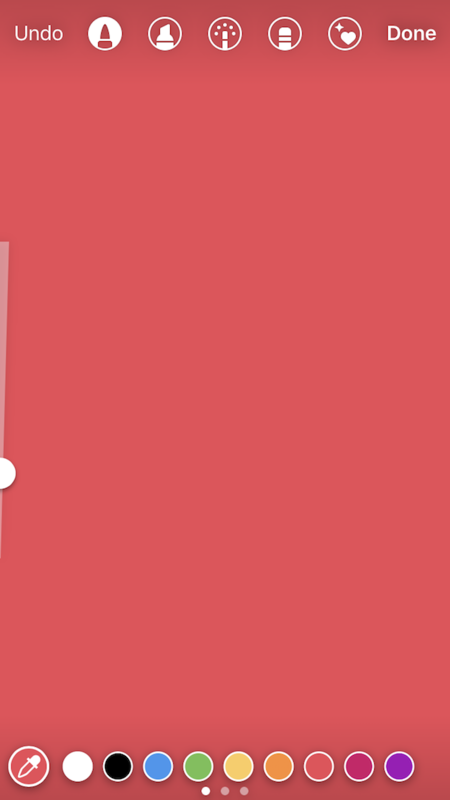 Your product might not be the simplest or sexiest product in the eyes of the layperson. Well, your Instagram Story is the perfect format for showing potential customers how that product is used. Post a long video, segmented into 15-second clips that show users what your product or service does and how it helps your customers. If you sell software, for example, you might record a video of your computer screen, using a recording tool like Loom, that shows people how to log in, use the software’s dashboard, and navigate to the various functions included in the product. 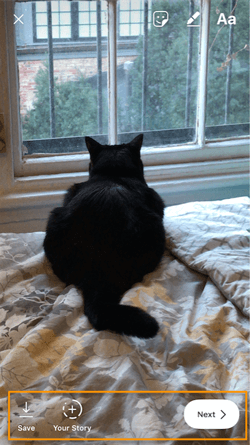 Just remember to modify your video’s dimensions before uploading it to your Instagram Story. Remember, Instagram Stories’ image dimensions are 1920px high and 1080px wide, with an aspect ratio of 9:16. 4. Promote a company event. Where the event is located. 5. Preview one of your company’s blog posts. 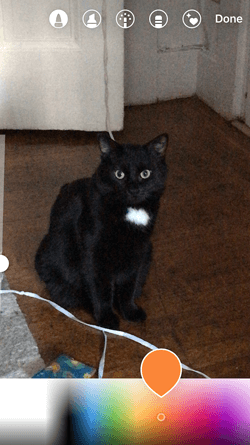 Your blog posts need all the exposure they can get. Even if social media isn’t your blog’s primary source of traffic, your Instagram Story can help readers discover that blog for the first time and find it later. 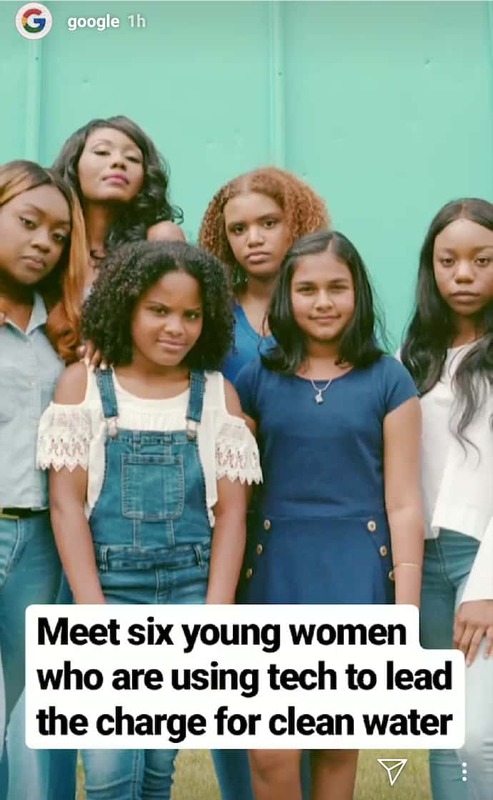 In the screenshot below, Google used its Instagram Story to preview an article it published on six extraordinary young women involved in water technology. When you tap all the way to the end of the Story, Google prompts you to swipe up with your finger, where it then links you to the full blog post. 6. Mention other companies who follow or work with you. As your Instagram following grows, you’ll eventually pick up other business accounts who want to follow you as well. Whether those accounts are your business partners or simply fans of yours, consider giving them shout-outs on your Instagram Story. This is a passive but effective way to nurture your relationships with the users that matter most to your business’s growth. We’ll explain how to link to other accounts in an Instagram Story in the tips below. Now that you know the basics, let’s run through tips and hacks for producing high-quality, clickable Instagram Stories. Once you’ve captured a great photo or video, it’s time to jazz it up with some fun stickers. 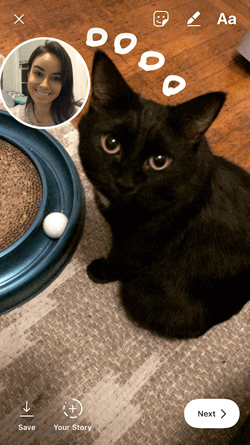 You can access these by tapping the smiling sticker icon in the upper right-hand corner of your screen once you’ve captured a photo or video — or swipe up from the bottom of your screen. Change the size of your stickers. You can pinch the sticker once you’ve added to your story to increase or decrease its size. You can also tap and drag it around the frame to change its position. Check stickers every day for new and unique ones. 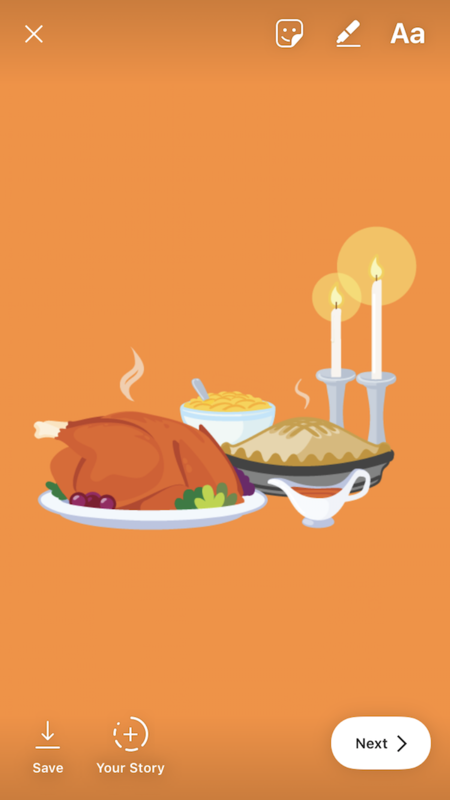 Instagram releases unique Story stickers often — whether it’s Monday, a holiday, or a season. 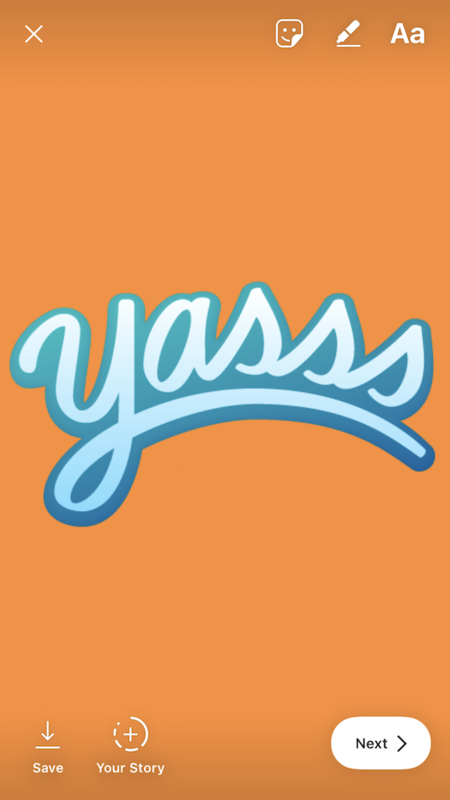 Check this section every day for new and timely stickers to add to your Story. 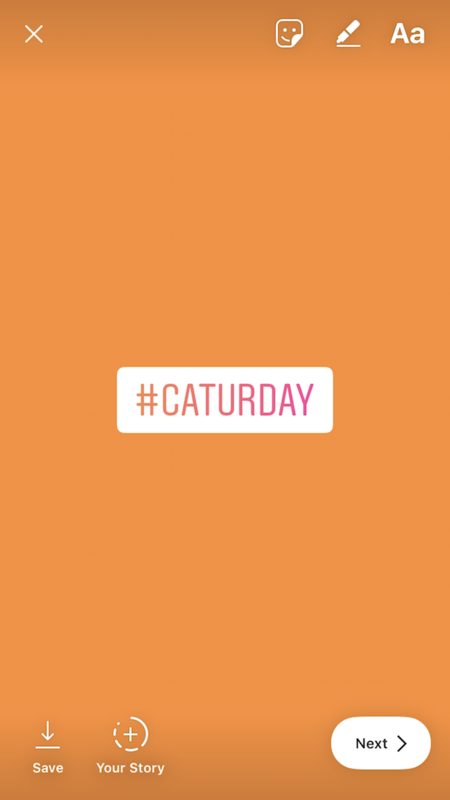 Add location, hashtag, poll, and selfie stickers. 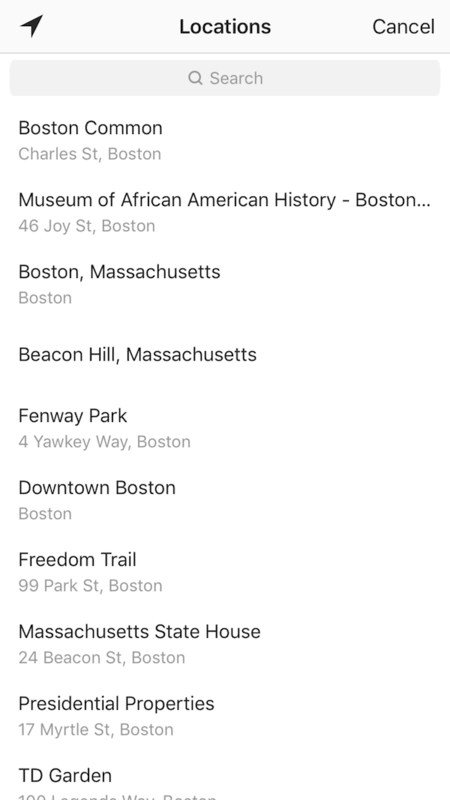 Start typing in wherever you are, and you’ll be able to pull in a geographically-specific sticker to show where you are. 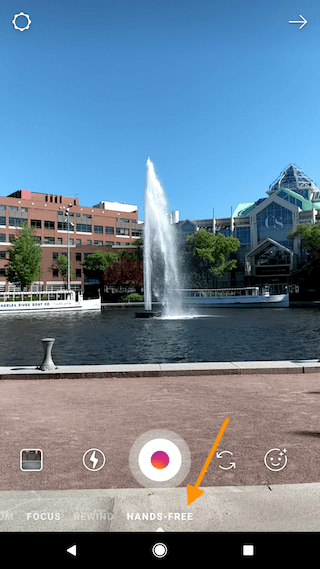 When people view your Story, they’ll be able to tap the location sticker and see other photos and Stories happening around the same place. Same concept here: If you add this sticker and type in a hashtag, your Story will appear in searches for that hashtag, and viewers will be able to click it and see who else is using it. #MotivationMonday, amirite? 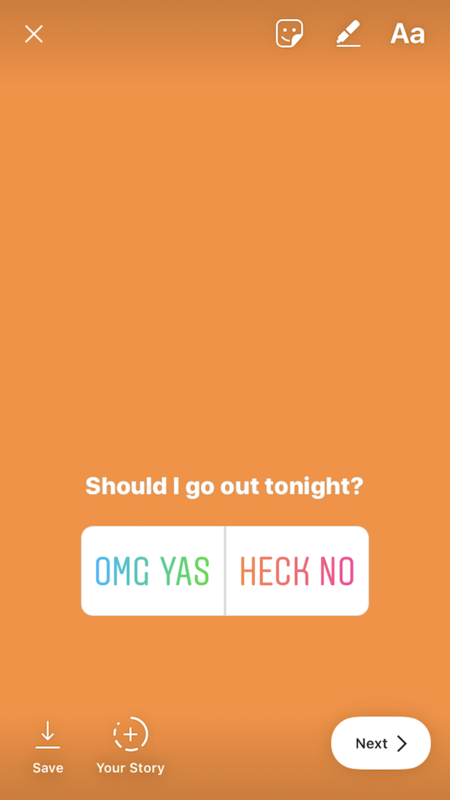 You can add a two-option poll to your Instagram Story, and you can even customize the possible answers so they’re more unique than “Yes” or “No.” Use a poll sticker to gauge if people are really engaging with your content. Open up the Stickers menu, and tap on the camera icon. Then, take a selfie — or take a picture of anyone else’s face (that will work too). Then, you can use that face to decorate your Instagram Story. Somewhat creepy, but very memorable and funny, too. 2. Record a hands-free Instagram video. If you’re a frequent video-recorder on Instagram, you know you need to hold your thumb against the record button for as long as you’re recording. This can make it tedious when attempting dynamic and interesting videos that require more hand mobility. But did you know you can record these videos “hands-free“? The hands-free video feature can be found in the carousel of camera lens options beneath the record button, as shown above. Simply tap the record button once to start the video, and again to stop it after you’ve gotten the footage you want. 3. Let viewers share your Stories. Increase engagement and views of your Instagram Story by letting viewers share them with their friends — as Direct Messages. 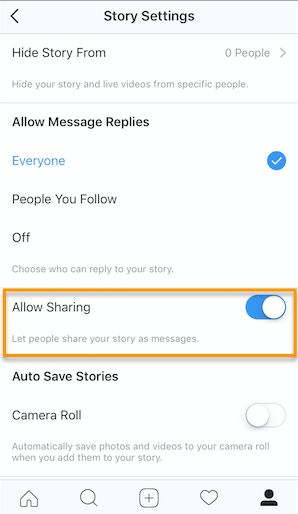 Toggle on “Allow Sharing” so viewers can DM your Story to friends to increase your audience reach. Voila! Use the pen to add embellishment, symbols, or more text to your Story. If you tap the pen icon in the upper right-hand corner of your screen once you’ve captured a photo or video, you’ll open up your options. From there, you can adjust the thickness of your pen stroke or change the color you’re writing with (more on that later). I like using the highlighter pen (the third option) to add emphasis to words — or even the highlight of my photo or video. 5. Add a background color. If you want to share a Story with a background color — like the images I’ve shared above — you can actually select it from the color palette. You can choose one of the colors from the three available menus, or if you want a specific shade of one of those colors, you can open up the full color spectrum by pressing and holding one of the colors. Then, scribble anywhere on the screen, and hold your finger down until you get the background color you want to appear. If you want to get really crazy, you could use the eraser tool (the fourth option) to create new words or shapes from the background, too. 6. Mention another Instagram account in your Story. Sometimes, it’s just not enough to send an Instagram Story to a particular person — you need to give them a shoutout in the photo or video itself. In these cases, Instagram allows you to tag up to 10 specific handles directly in your Story’s photo or video. 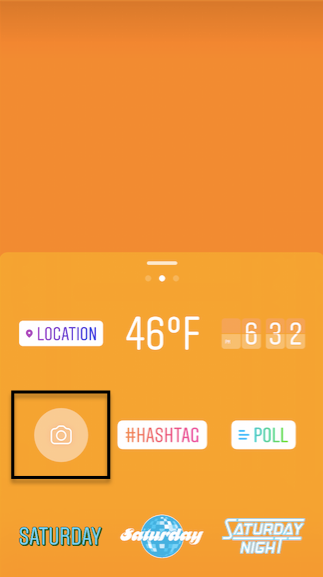 To mention an Instagram account in your Story, shoot a photo or video and then tap the square “A” icon in the upper righthand corner of the screen. Enter the account you’d like to tag, starting with the “@” symbol and the account’s first letter. Scroll through the suggested accounts that appear below your cursor until you find the account you have in mind, and tap it. See what these options look like below. Once you post this Story, the person or account you’ve tagged in the photo or video will receive a notification of your shoutout, regardless of whether or not you send the Story to them. 7. Make your text funkier. 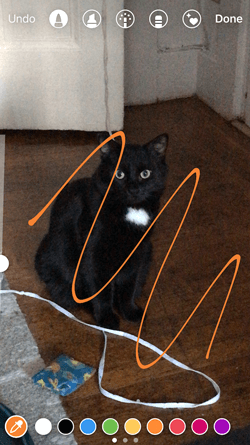 The text on Instagram Stories is pretty basic — jazz it up with these tricks. If you’re unsatisfied with the color palette Instagram offers, create your own from one of the colors in the photo or video you’ve captured. 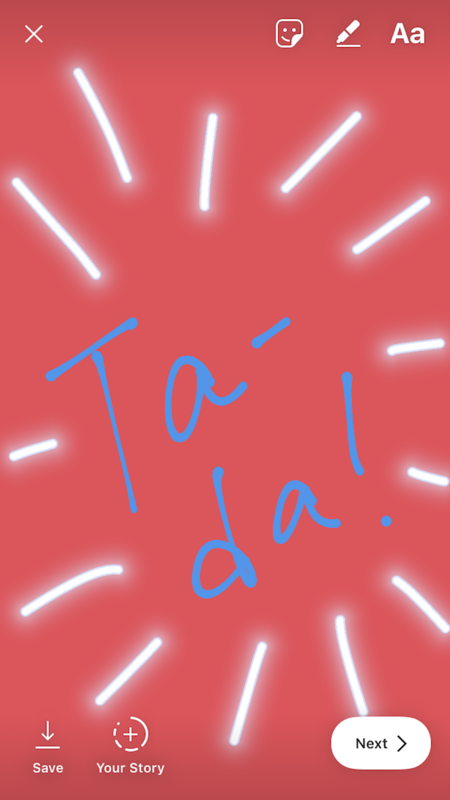 Open up the text icon, and tap the eyedropper icon in the lower left-hand corner of your screen. Use the dropper to sample a color from somewhere in the image you’ve captured, and use it when typing out text or using the pen tool. Add a drop shadow to your Story’s text. If you want to add some extra drama to your text, add highlighting or shadowing by retyping or rewriting your text in a different color. I recommend choosing black or white to add emphasis to a bright color you’ve picked. Then, move the text above or underneath the brighter text to add some drama to your words. Turn your text into a rainbow. This one’s tricky, but you can actually turn your text into a gradient rainbow. Tap the text icon, and type out your message to add to your Story. Then, highlight your text. This is where it gets tricky: Turn your phone to the side so you can hold one finger down on the right side of your text, and with another finger, tap on a color and hold until the color wheel pops up. Gradually add text to a Story. 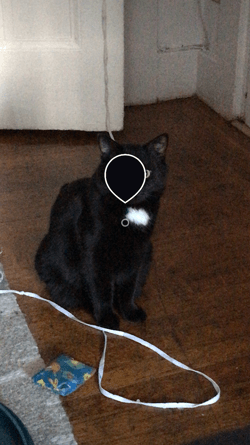 Sometimes, you might want to add text or stickers to an image to build on it — perhaps to promote a content offer or event, or to encourage viewers to swipe up to read a link you’ve shared (this is only available to verified accounts). 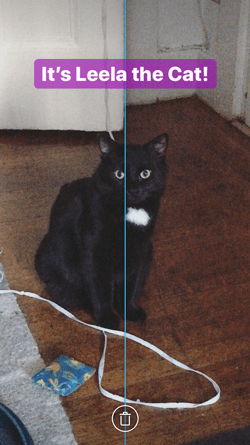 Start editing the photo you want to share, post it, and save it to your camera roll. 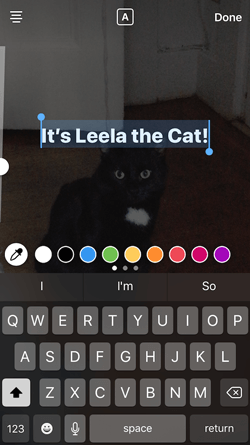 Then, swipe up on your screen to add the screenshot to the next installment of your Story — adding new text or stickers on top of the first photo. Keep doing this for as long as you want the Story to last — just make sure to keep taking screenshots of your latest photo so you can add to it. 8. 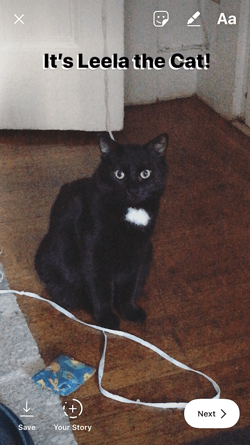 See who has viewed your Instagram Story. Snapchat users have always been able to see which of their friends have viewed their snapped Stories over the 24-hour period that the Story is visible. Well, Instagram Stories can do the same thing — in exactly the same way. 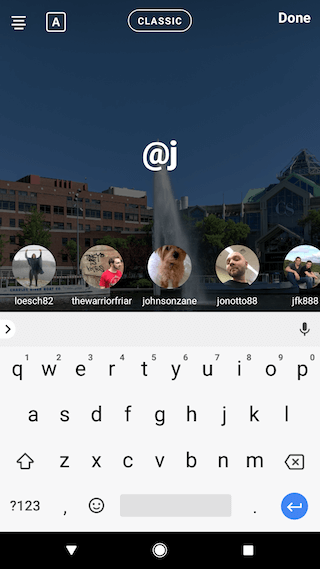 To see who has viewed your Instagram Story, navigate to the homepage of Instagram on your phone and click on the circular icon denoting your Story. See what this looks like in the screenshot below. Click on “Your Story” from the Instagram home screen and swipe up from the bottom of your open Story. This will pull up a list of all the accounts that have viewed this content. Seeing who’s viewed your Story might be an ego boost to personal Instagrammers, but business users can learn a lot about what their followers are interested in this way. By looking at which users view which Stories, you can figure out which types of photos and videos you should keep posting. 9. Center your text and stickers. When you’re moving around text and stickers on your story, you’ll see blue lines appear vertically or horizontally in the frame. These are guiding lines you can use to make sure you’re keeping everything centered. Don’t put your text too high or too low on the screen. That said, make sure you don’t add anything to your Story too high or too low in the frame — or it will be cut off when viewers scroll through your Story, when Instagram adds things like your name and how long ago your story was posted that could block out your carefully-crafted text. 10. Add music to a Story. This one’s easy: Turn on music using your phone’s native streaming app, and record a video Story. Once you get ready to edit and share, make sure the sound icon isn’t muted so your viewers can jam with you. Alternatively, if you’d rather your video be muted, tap the sound icon so an “X” appears over it. 11. Upload Instagram Stories from your phone’s camera roll. Great Instagram Stories aren’t just created through the Instagram app. You can also upload photo and video content from your mobile device’s native camera roll. 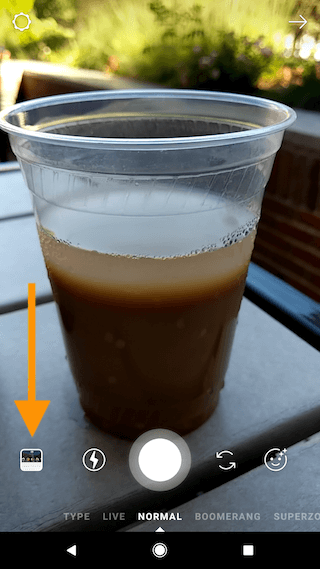 To upload a photo or video for use as an Instagram Story, open your Instagram Story’s camera lens and tap the little square icon on the bottom lefthand of the screen. See what this looks like below. Tapping the icon shown above will call up your phone’s native media gallery, where you can select any photo or video to publish as an Instagram Story. It’s that easy. We hope these tips help you post killer Instagram Stories your audience won’t be able to stop following. There are lots of hidden ways to take your Stories to the next level — some we may not even have covered here. Our best advice? Keep clicking around and see what you can do with the latest updates from the app. Happy ‘gramming!